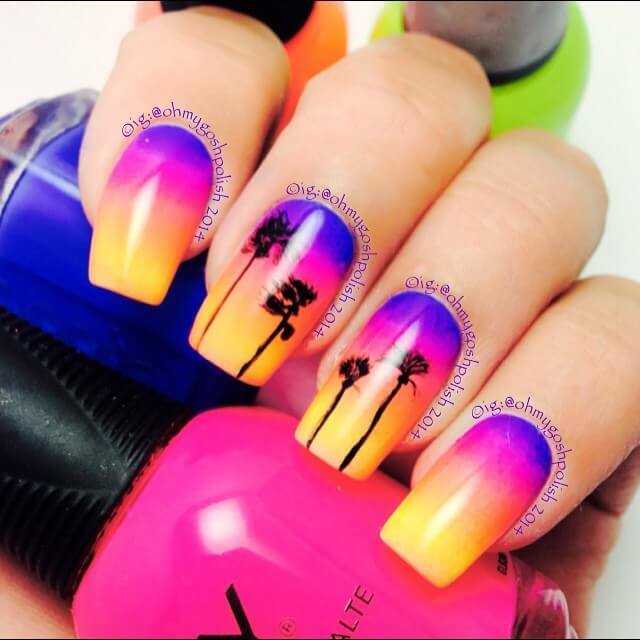 These gradient sunset nails by ohmygoshpolish are gorgeous, and perfect for Summer! She used Essie in Butler Please, and Orly in Beach Cruiser, Glowstick and Mayhem Mentality for the gradient sunset effect, and then painted on some windswept palm trees. BEAUTIFUL!